These bright sky-blue stones are natural Turquoise from the Nacozari Mine in Sonora, Mexico, which is now closed. 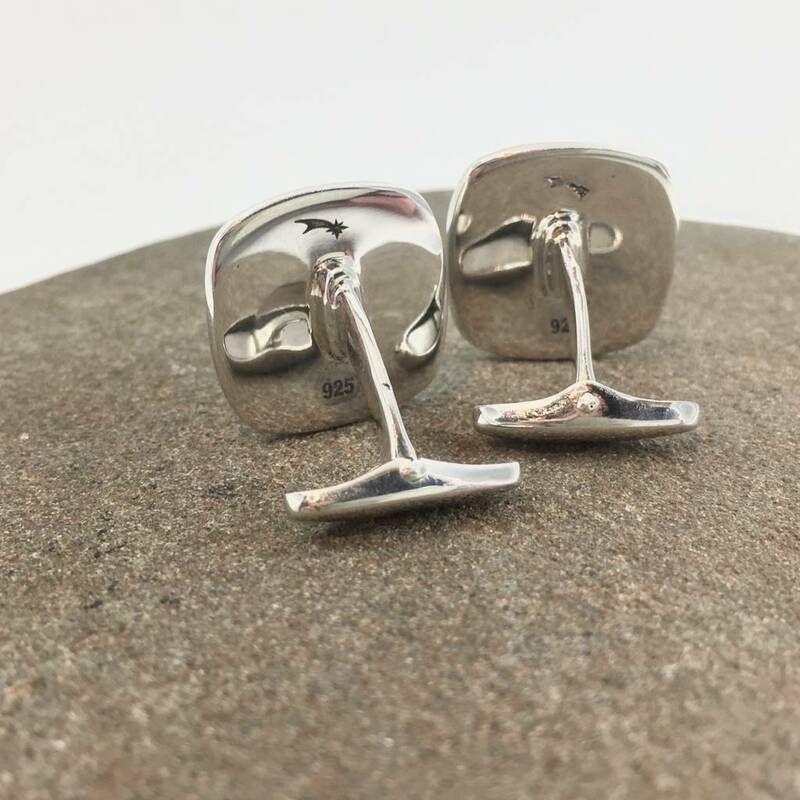 The flat cabochons in Sterling Silver bezels make for a clean and classic look. 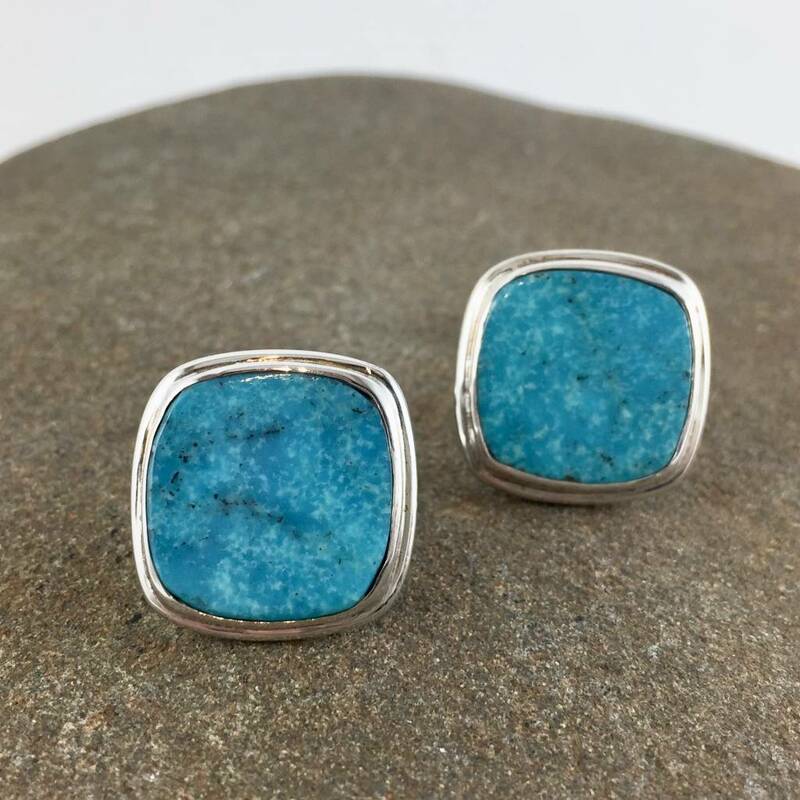 A copper mineral that has been valued as a gemstone since ancient times, Turquoise was often worn as “protection against unnatural death.” It is one of December’s birthstones. 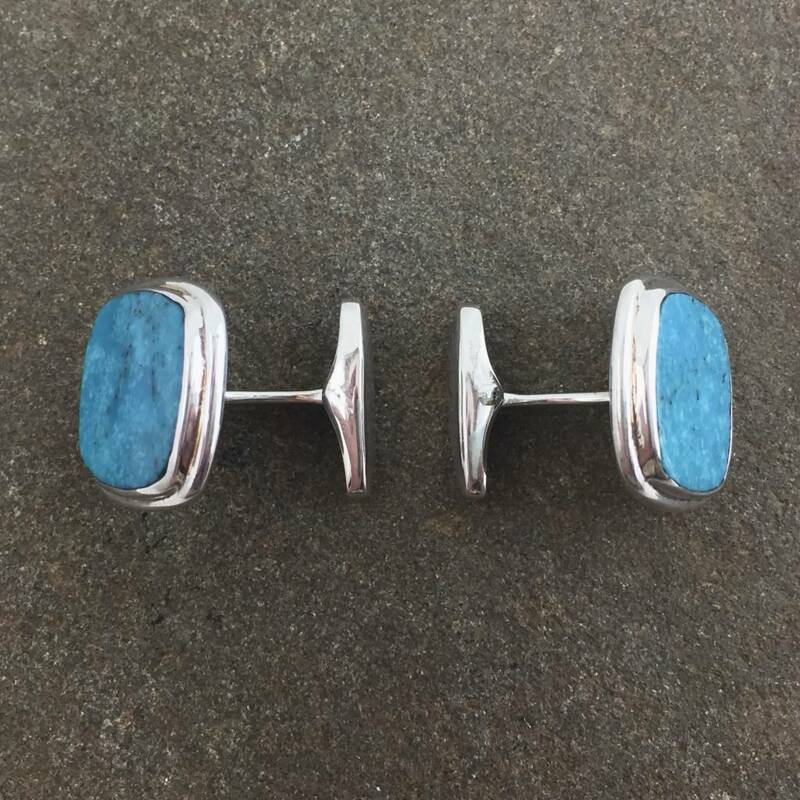 Though widely imitated, natural Turquoise can be distinguished by its markings and texture.